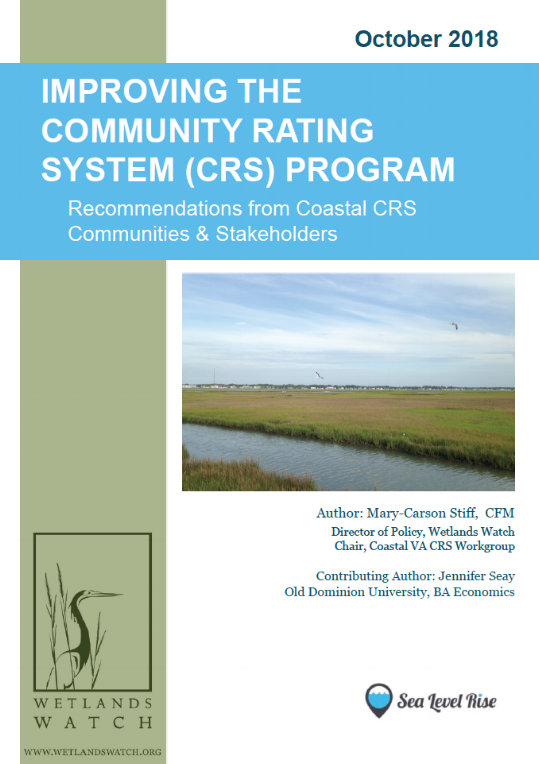 Wetlands Watch interviewed stakeholders engaged in resilience work in coastal Virginia to determine what information/data is needed to better build resilience and what funding resources are currently being used or underutilized to finance this important work. The content of these interviews is identified in the report. 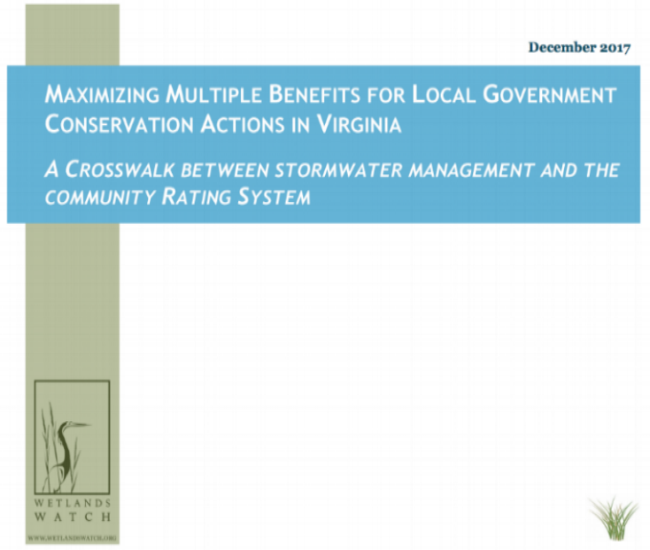 Wetlands Watch created a crosswalk between stormwater management activities performed at the local government level in VA and the CRS Program’s Manual, noting which stormwater activities earn CRS credit and how localities could modify actions to earn credit. Wetlands Watch collaborated with students from Hampton University and Old Dominion to develop resiliency designs for the historic shoreline neighborhood of Chesterfield Heights in Norfolk, VA. Student designs were made part of the region's proposal for the Department of Housing and Urban Development's National Disaster Resilience Competition, and at the beginning of 2016, designs based on the students' work won a $120 million grant for the state of Virginia. Most of the HUD funding- $115 million will be put on the ground in Chesterfield Heights to implement those ideas. More info on our blog. A study on how communities can take extra steps to deal with flooding/sea level rise, reduce their flood insurance costs, and increase open space and shoreline habitat. With premiums increasing for the National Flood Insurance Program (NFIP) we looked for ways to help communities support flood proofing and habitat protection at the same time. The NFIP rewards communities for taking flood protection steps above the minimum, by using the Community Rating System to evaluate floodproofing and award points toward reduced premium costs. Flood mitigation and sea level rise adaptation needs are growing, and homeowners with damaged properties are facing an unacceptable wait time for help. Our analysis of five cities within Hampton Roads found nearly $431,000,000 in pending costs to fix flood-damaged structures. At current payment rates for government assistance, these folks will wait between 78 and 188 years for help! We also examine the options available to deal with this backlog, including innovative revolving loan funds at the state and regional level. Homeowners insurance along the coast is increasingly expensive and undergoing rapid changes in coverage and availability. 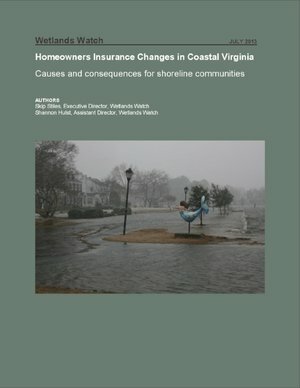 Our study looks at whether or not these changes are a response of insurance companies to the concern about increased coastal risks due to human induced climate change, and the potential for these increasing premiums to be used to encourage people to adapt to climate change.